Sometime after Krypton's destruction and launching a rocket containing his daughter Kara to Earth, Zor-El banishes Lor-An, a Kryptonian suffering from Red Kryptonite poisoning, to the Phantom Zone until a cure can be found. The Department of Extranormal Operations and its agents Jeremiah and Eliza Danvers, newly assigned foster parents of Kara Zor-El, are trying to help her regain her superhuman abilities. This time, they're trying to rocket Kara into Earth's yellow sun. As the ship reaches its destination, Lor-An arrives on Earth and becomes the Kryptonian equivalent of a werewolf thanks to the moonlight. Lor-An is attacking the DEO as Kara returns from the stars fully powered. Supergirl is back, ladies and gentlemen. Let all who perform evil deeds beware. Supergirl and Lor-An fight until she tells him that all of Argo City's inhabitants are dead, and the city itself was destroyed. He surrenders when Kara promises that she and the DEO will help search for the cure for him that her father never succeeded in finding. With that, Kara Zor-El must live up to her end of the bargain she made with the DEO. If they restore her powers, Supergirl must help the secret government agency investigate potential threats. The Danvers family must move to National City, where Kara goes to National City Technical High School. However, when the forces of evil strike, it's a job for Supergirl. In the ruins of Argo City, the Cyborg Superman, better known to readers of the New 52 Supergirl series as Zor-El. Has assimilated a Kryptonian corpse, bringing a new cybernetic organism to life. What happens next will have to wait until Supergirl #1 is released in three weeks, Superfans. Tune in then, Same Super Time - Same Super Website. Story - 5: I came into this with absolutely no expectations whatsoever. 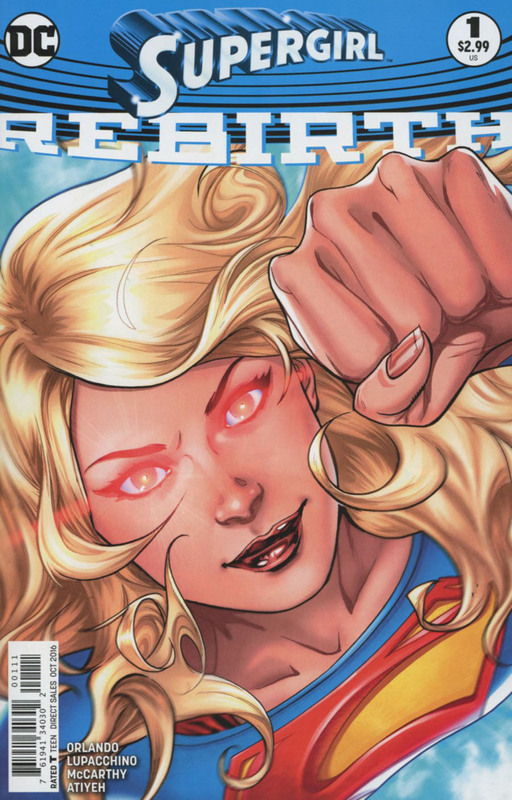 I enjoyed the previous Supergirl series, but I felt it best to go into this completely cold. I'm glad I did because this was one of best comics I've read. Kara is taken in directions she's been taken before with the 'lost alien girl trying to find her way' elements, but Steve Orlando uses them and makes them work for his story as the perfect lead-in to the new monthly comic. 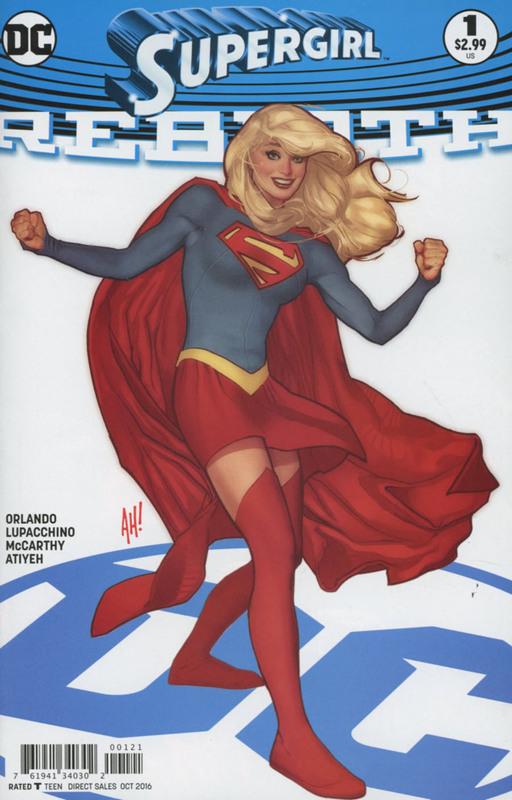 Art - 5: Emanuela Lupacchino is back on a Supergirl book, and it only seems natural to have her back. Her art complements Kara Zor-El's adventures perfectly. Let's hope she stays on for the new monthly series. Cover Art - 3: The art pretty much says it all in this cover. Supergirl's flying once again. If that doesn't make you want to pick this comic book up, nothing will. Variant Cover Art - 3: I love Adam Hughes' art, but this works better as a poster. It's less impressive as a cover for some reason.